What's in your essential beauty bag? 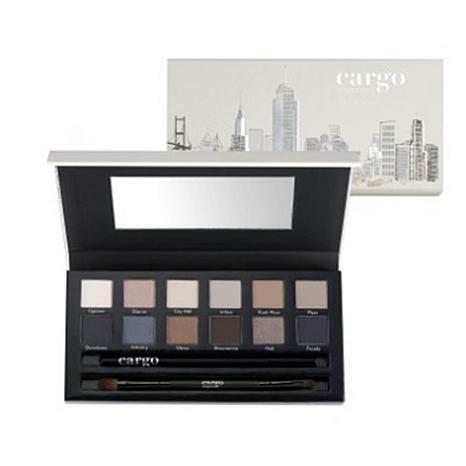 Inspired by the architecture and neutral hues of the city, this collection of versatile shadows from Cargo leaves you looking urban chic, even when you're on-the-go. 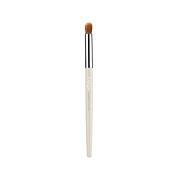 Blend and shade them with the included brush and eye pencil for everyday eye styles that are simply ... essential. Ingredients: EYE SHADOW: TALC, MICA, MAGNESIUM STEARATE, DIMETHICONE, HYDROGENATED POLYISOBUTENE, OCTYLDODECYL STEAROYL STEARATE, BIS-DIGLYCERYL POLYACYLADIPATE-2, PHENOXYETHANOL, ETHYLHEXYLGLYCERIN. MAY CONTAIN (+/-): TITANIUM DIOXIDE (CI 77891), IRON OXIDES (CI 77499, CI 77492, CI 77491), MANGANESE VIOLET (CI 77742). EYE PENCIL: ISOPROPYL MYRISTATE, BEESWAX (CERA ALBA),OCTYLDODECANOL, THEOBROMA CACAO (COCOA) SEED BUTTER, CARNAUBA (COPERNICIA CERIFERA) WAX, BUTYROSPERMUM PARKII (SHEA BUTTER), DIETHYLHEXYLCYCLOHEXANE, PHENOXYETHANOL, CAPRYLYL GLYCOL, GLYCERIN, BUTYLENE GLYCOL, WATER (AQUA), ROSMARINUS OFFICINALIS (ROSEMARY) LEAF EXTRACT, TITANIUM DIOXIDE (CI 77891), IRON OXIDES (CI 77499), FERRIC AMMONIUM FERROCYANIDE (CI 77510). Great Deal, Great Product ! Beautiful colors and consistency to the eye shadows. With the included eye pencil and shadow brush, you can't beat this deal ! 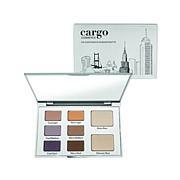 This palette truly has the colors from day to night. 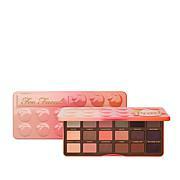 It is nicely pigmented & the brush (included) is definitely the one for this palette. Get yours today!!! The colors in this palette are gorgeous, all of them! Every color in the set would look good on everyone and go with everything. I bought it on sale and got free shipping. I'm really happy with this purchase. Glad I bought this, great price. The colors are strong, but not all the same, goes on smoothly and does not flake. 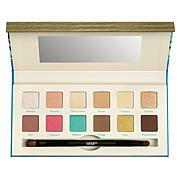 Comes with nice brush and eyeliner which are good but the eyecolors really work well together. Overall this is a xcellent. I'm sick of all Browns in eyeshadow an, prefer greys and blacks but not goth. I decided to try this since it got good reviews online and HSN sent a discount code. You can't beat the value, especially with a discount and free shipping! The shadows are nice, the color scheme is what I gravitate toward (on the cool side), the packaging design is chic, the pencil is creamy and applied smoothly, and the brush is not bad either. My only issue is the shadows can be a little powdery and hard to blend. The lighter shades are easier to work with, but the darker ones are very pigmented and stick where you place them, so tap off your brush, be careful with placement, and be prepared to blend a while! That being said, I've been happy with the looks in the end and have received several compliments when I used it.